Andros Townsend celebrates at Manchester City. 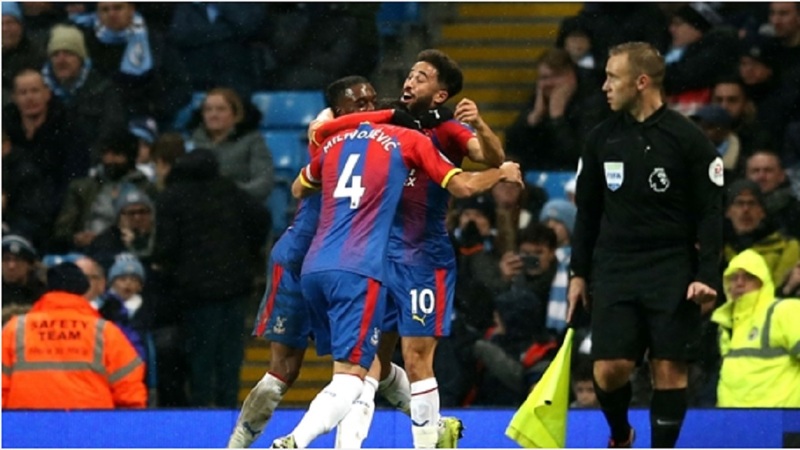 Roy Hodgson's Crystal Palace claimed a shock 3-2 victory against defending champion Manchester City on Saturday to end the only 100 percent home record in the English Premier League. No one could have predicted what was to come when Ilkay Gundogan gave second-placed City a 27th-minute lead. Struggling Palace hit back, however, through Jeffrey Schlupp, Andros Townsend and a Luka Milivojevic penalty as the London club registered its first league win at City for 28 years. Kevin De Bruyne grabbed a late second goal for City but defeat left Pep Guardiola's men four points behind Liverpool at the top of the standings following the leader's 2-0 victory at Wolverhampton on Friday. On a day of top-flight upsets, former England striker Jamie Vardy scored the only goal to guide Leicester to a 1-0 victory at Stamford Bridge and inflict fourth-placed Chelsea's first home league defeat of the season. 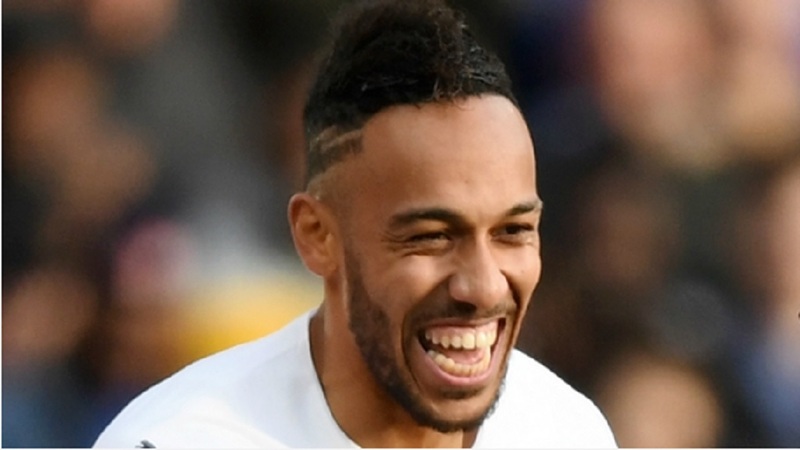 Arsenal, which are fifth, drew level on points with Chelsea after Pierre-Emerick Aubameyang struck twice in a 3-1 win over Burnley at the Emirates. Southampton won for the second successive match under new coach Ralph Hasenhuttl when they defeated Huddersfield 3-1, while Watford ended West Ham's run of four consecutive victories by winning 2-0 at the London Stadium. Bournemouth beat Brighton 2-0, and Newcastle's home game with Fulham ended 0-0. In the late match, Ole Gunnar Solskjaer will take charge of Manchester United for the first time when his new club visits Cardiff.